Digital readings are so common now, people love to buy their favorite books online and read it whenever they get time like during travel. 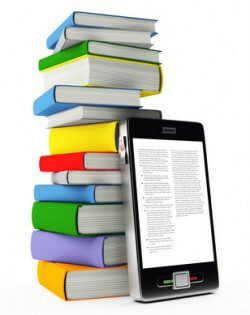 eBooks have a lot of advantages like they are quicker to obtain, take up less space to accommodate large number of books. Google play store make digital reading even more easier with lots of feature rich reading applications. This is an official eBook app from Google featuring many smart features. This app provides you access to millions of best sellers, comics, and textbooks, and loads of customizable features. Enhance your reading experience by providing customizable options like preferred font, text size, or page color, and make late night reading easier on your eyes with Night Light. Play Books holds more than 4 million books in all genres. Google play Books allows you to rent or buy your favorite digital books and integrate with google drive. Kindle is the most famous and large used eBook application worldwide; kindle app is available in play store as well. Kindle brings millions of books to your mobile devices. It is a standalone book store ecosystem where you can buy and read eBooks. The kindle library holds millions of books of all period of time in various languages, many books are available in free of costs. This app contains a beautiful and smooth interface to spend more time in reading, the page turn animations provides readers the feel of reading a physical book. Whisper sync allows you to sync between your Kindle app and your Kindle reader. This is another popular application available in play store for reading books. This apps contains a massive collection of English literatures and novels in almost all genres. This app has easy to use user interface and user experience. It supports off-line reading as well, that is user can download their needed book and later read it offline without any required for internet access. Moon+ Reader is another popular eBook reader in play store. This app has a variety of features, including themes, support for various formats. It supports to adjust fonts, margins, background colors, text colors and almost any other option including screenshots, changing page layout, adjust the brightness by sliding your finger along the left edge of the screen, Dual page mode and gesture commands input. It comes in free as well as a premium variant depends on consumer’s needs. This app contains books in many languages around 30 different languages. Moon Reader pro has additional benefits like Ad-free, themes support, Text to speech support etc. This is another high rated eBook application in play store. It hosts many best-selling books in their catalogs which includes many free books as well as premium books. It supports to import external EPUB to the app and read it, it will also remember your reading position automatically, bring you back to where you left off. Having said this, there are a lot more benefits in digital reading. Some people still prefer comfort with physical touch of books, there are a lot of books being printed in sivakasi. Many people like to get their favorite notebook printing in sivakasi.